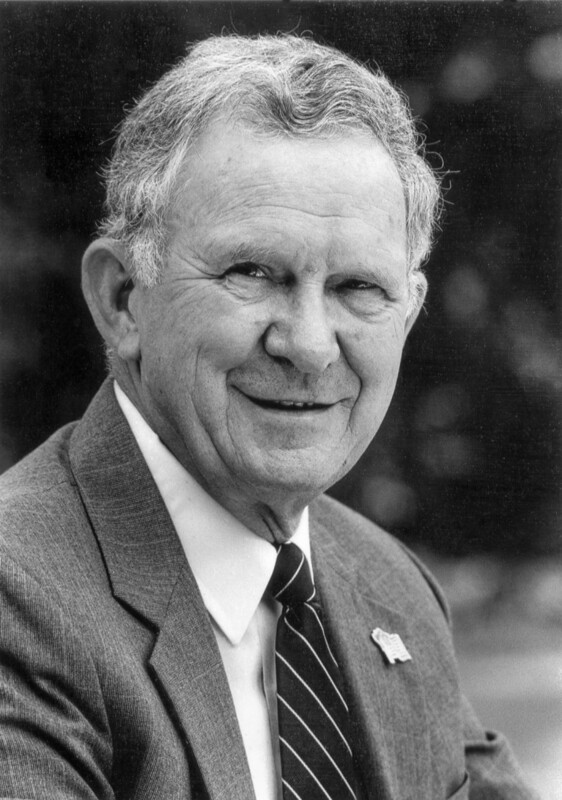 Ralph Ernest Cummins, a Clintwood, Virginia native, was inducted into the Emory & Henry Sports Hall of Fame in 2006. He played football for the Wasps, but found greater success in coaching after hanging up his own cleats. During World War II, Cummins served with the 17th Airborne Division as a paratrooper in Europe. After graduating from E&H in 1951, he did graduate work at Union College, Appalachian State and the University of Virginia. Cummins has retired with more wins than any football coach in Virginia history and ranked in the top 20 nationally. In 1987, he retired from his position as Clintwood High School football coach after compiling a 267-89-15 record and three state titles. During his long and storied coaching career he had won two other state titles while coaching at Gate City High School and his teams had won sportsmanship trophies on 23 occasions. Cummins 40-year coaching career was broader than the gridiron. He coached various sports in addition to football, including girls and boys basketball, baseball and volleyball. He accumulated a combined 29 championships during his career. Cummins served as executive secretary of the District Coaches Association, president of the Southwest Regional Coaches Association and a member of the Virginia High School League (VHSL) Executive Committee and VHSL Sports Advisory Committee. He also served terms as president of the District Coaches Association and chairman of the Virginia Coaches Hall of Fame Committee. Cummins was inducted into the National High School Sports Hall of Fame in 1990. Ralph Ernest Cummins, born on January 29, 1925, passed away on June 23, 2014 at age 89.